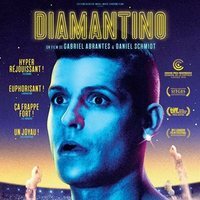 Political comedy about the rise of xenophobia and far right in Europe star by Cristiano Ronaldo's alter ego. 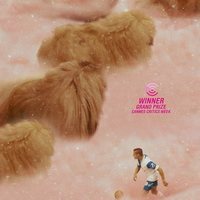 This is the fanciful and delirious story of Diamantino (Carloto Cotta). He is a world's premiere soccer star who, unfortunately, loses the Wold Cup due to he does not have the magic and the special touch he was known for. He falls into a spiral from which it must exit searching for a new purpose. The international icon decide to adopt a refugee from Mozambique but he ends up involved in a trap because of his evil twin sisters' plans and their ilegal issues. The football star sets on a delirious odyssey where he confronts neo-fascism, the refugee crisis, genetic modification, and the hunt for the source of genius. Lead star Carloto Cotta said that to play a soccer superstar (loosely inspired by Cristiano Ronaldo), he did not take additional soccer lessons but instead worked with a personal trainer to develop highly-defined six pack abs - something Ronaldo is famous for. Cotta worked out for months in advance following a strict training regime and diet that had him eating almost no carbs. Two sports essays by David Foster Wallace - "Roger Federer As Religious Experience" and "How Tracy Austin Broke My Heart" - served as inspiration for the film, to delve into the psychology and personality of a sport superstar.